Delivering Android, iOS, Windows Apps for Simplify Your Day by Day Activities. Victory Visions Deliver the world class mobile applications for iOS, Android. Now a days, everyone uses smart phone. Hence to reach more people all business need mobile application. We create a great looking, Faster, Smoother & Flexible mobile applications. We develop many types of mobile applications like Games mobile apps, Business mobile apps, Entertainment mobile apps, Mobile apps for existing website, Job portal mobile apps, Matrimony mobile apps, E-commerce mobile apps etc. 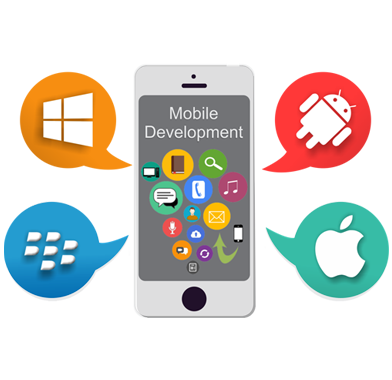 We understand the business needs and provide ideal solutions with a specialized team of mobile app developers. We are Developing mobile applications at an unbelievable price, We have strong expertise in Hybird App Development process, process begins and ends with the client. Our Apps are visually appealing with a killer UI/UX design that leads to more downloads, And we keep testing, analyzing and optimizing app for maximum results. Our Mobile apps are highly cost-effective to adopt, Excellent Graphic Support, beautiful user experience design, We address the changing needs of your business with solutions that are not only cost-effective but also fast to deploy, highly scalable and reliable. Audience growth for Smartphone's Mobile Application is at impressive rise and its the right time to launch a new startup for your business. Give a call us at +91 9884017352 to rise your business with mobile app. Request for a Free Quote or call us at +91 9884017352.